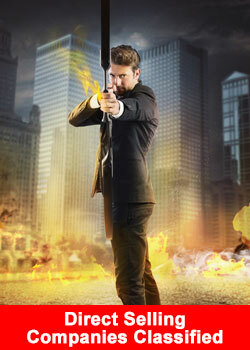 In our database we have around 1,000 direct selling companies from all over the world. We have classified in the past months around 650 of them with an AAA+, AA, A or B grade. 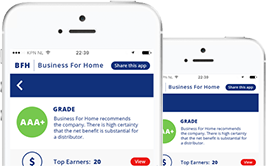 This is based on the information we have about a company with key figures such as revenue, momentum, Alexa ratings, poll results, input from direct selling professionals and top earners and Head Office visits we regular do. 20+ companies have received an AAA+ grade, 100 the AA+ grade, 350 the A+ grade and the others a B grade. 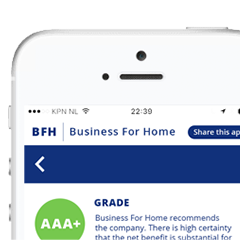 In a couple of weeks the results will be visible together with a lot of extra data in the Business For Home app, available both for Android as iOS. Therefore we recommend to download the app. Version 1.1.1 is online which delivers industry alerts, our developers are working on version 2.0 (July 2016) which will be a Business Intelligence Tool for networkers. Momentum rank in real time.